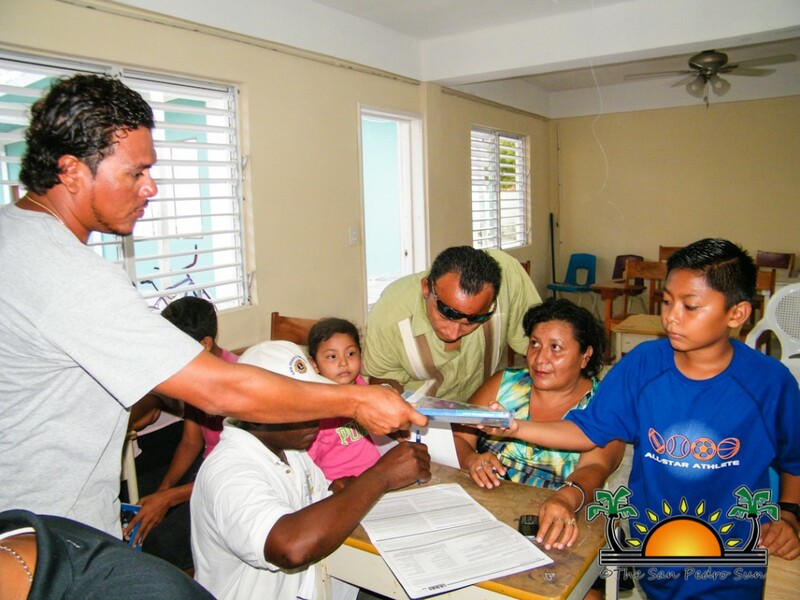 Newer: » The Costa Maya International Festival is here! The San Pedro Tourist Guide Association (SPTGA) is holding their second annual Summer Training Camp. The event will run for two weeks and the 37 participants will receive training in scuba diving and fly fishing. The camp started on July 29th at the San Pedro High School with an enrollment exercise and briefing. Phillip “Billy” Leslie, President of the SPTGA, explained that the participants were offered the opportunity to be a part of the camp as an incentive. 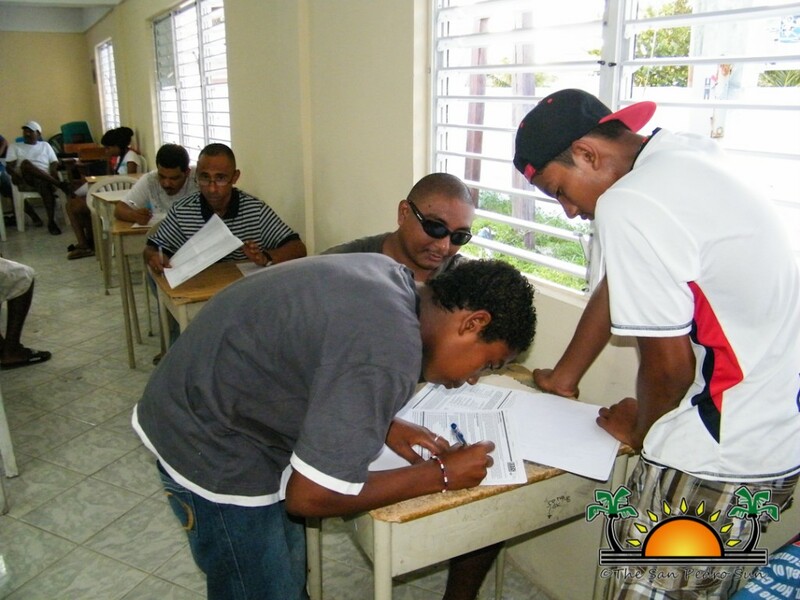 “Every year we go to the various island schools and we ask the administrators to select four kids for the summer program. 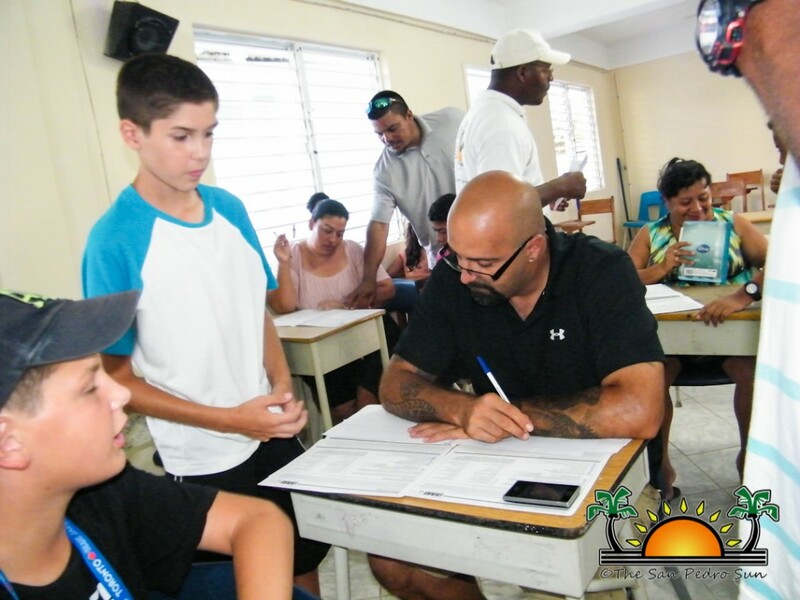 What we did on the first day is enroll them and introduce them to the other students that started the fly fishing training two weeks ago.” The participants range from 11 to 15 years and are both male and female students. 32 of the participants are being trained in scuba diving by various professional dive instructors from the different dive shops on the island. The remaining 5 are doing an intensive course in fly-fishing by veteran fly-fishing guide Omar Arceo. 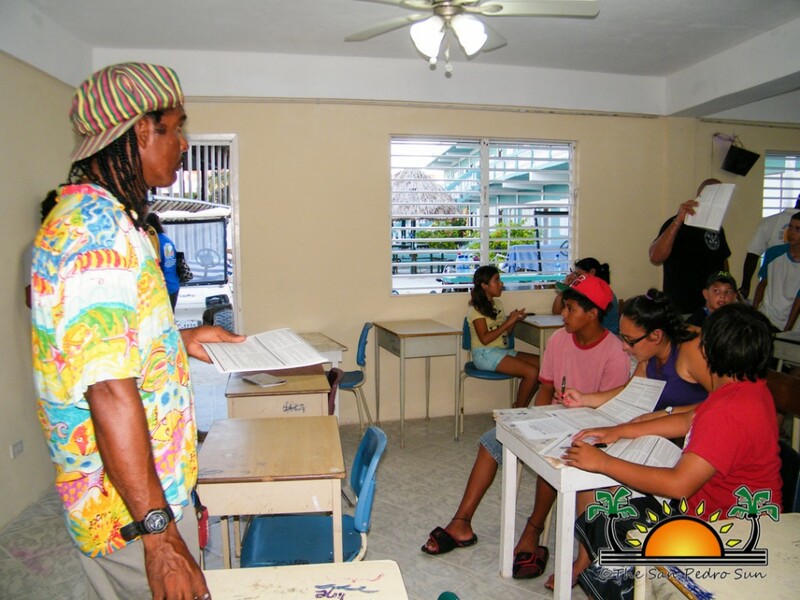 “Most of those in the association are guides that have made a living from either scuba diving, fly fishing and/or snorkeling and we want to ensure that our kids are learning the importance of our coral reef and enjoy the benefit of that reef,” said Leslie. 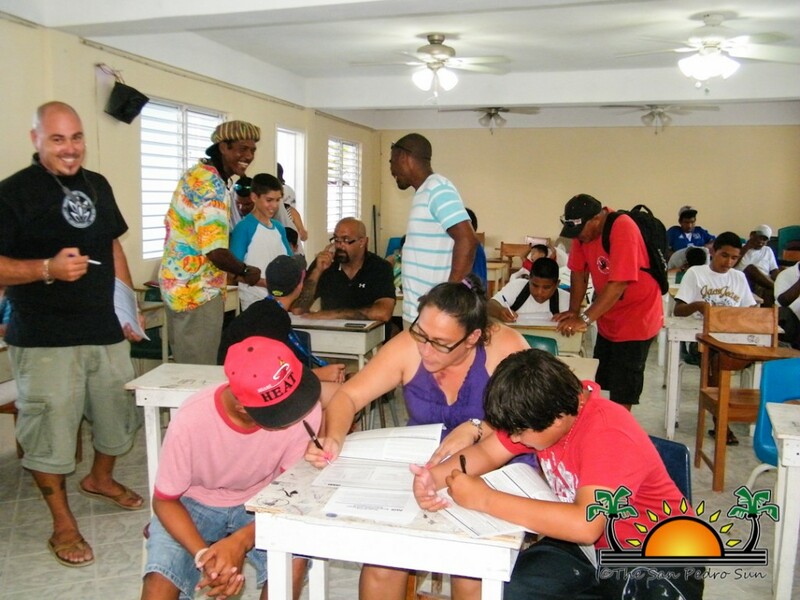 “The main objective here is to ensure that the children get to know how to dive with other programs that we do such as coral reef monitoring, reef cleanup, beach cleanup, turtle watch and so forth.” During the day, the participants are involved in open water practical courses with the different instructors while the theory is done in the evenings. For the first time the Professional Association of Diving Instructors (PADI) and the Divers Alert Network (DAN)is supporting the program “PADI assisted us in offering certification to the participants for a reduced cost from what it would be for a regular certification course. 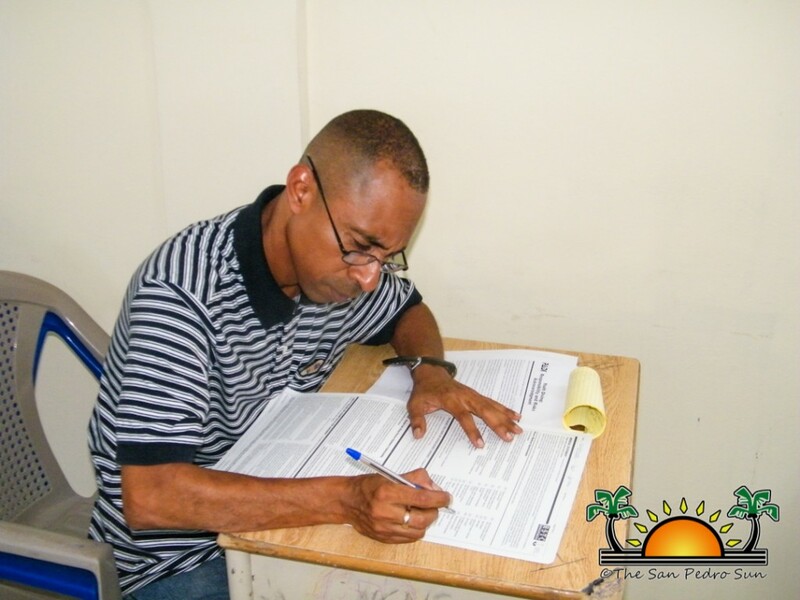 For the first time also, the participants are being insured for one complete year. If anything happens to them during the course of the year while diving, their medical expenses are fully covered by the insurance,” said Leslie. The summer program will culminate on August 15th with a final dive and fly fishing activity during the day and a small graduation ceremony in the evening. Also receiving training are two members of the San Pedro Police Formation.